SEOUL -- South and North Korean military negotiators held their first joint discussion with the United Nations Command (UNC) on how to turn the truce village of Panmunjom, the symbol of division and acute Cold War confrontation, into a true peace zone that would allow tourists to walk around. The trilateral meeting Tuesday in Panmunjom was attended by Colonel Burke Hamilton, secretary of the UNC Military Armistice Commission which was established at the end of the 1950-53 Korean War to supervise the truce accord, according to the South's defense ministry. During the 1950-53 Korean conflict, a UN command led by American troops fought against Chinese and North Korea soldiers. The command has not been disbanded because the Korean peninsula is technically still at war with no permanent peace treaty signed. 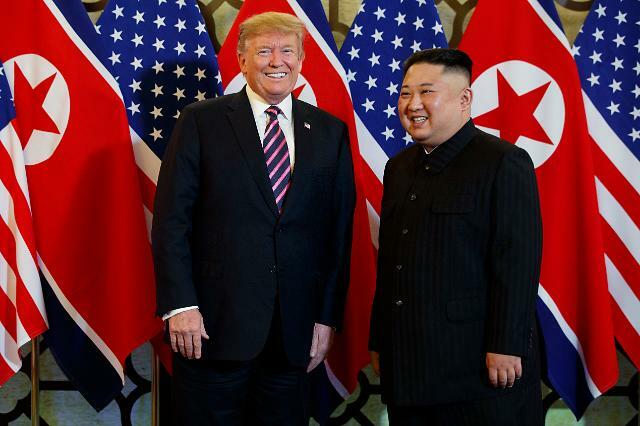 At a summit in Pyongyang in September, the two Korean agreed to disarm the Joint Security Area (JSA) in and around Panmunjom, pull out 11 guard posts in the demilitarized zone (DMZ) on a trial basis by the end of this year and conduct a joint excavation of soldiers killed during the war. The DMZ is a four-kilometer-wide strip of land that has divided the Korean peninsula since an armistice accord ended the conflict in 1953. The zone was originally set up to be clear of heavy weapons, but it has been heavily fortified with minefields, guard posts, concrete walls and electric fences. On October 1, the two Koreas launched a 20-day operation to remove mines in two border areas --- Panmunjom and a 1953 battlefield in the northern border town of Cheorwon. 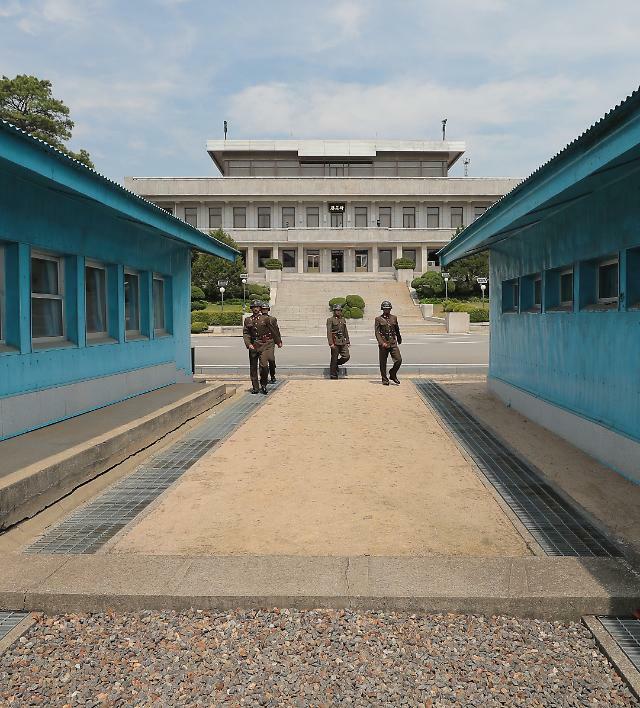 Panmunjom encompasses an 800-meter wide enclave, roughly circular in shape and created as a neutral area. It is the only contact point inside the DMZ, surrounded by minefields and guarded jointly under the armistice accord. It was not known how many mines were found and removed in the truce village. 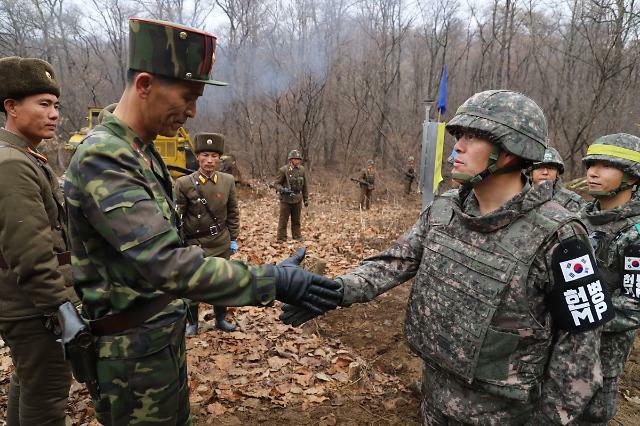 After a demining operation is finished, the two sides would dismantle five North Korean and four South Korean guard posts installed in the JSA. Under new rules to be drawn out later, 35 unarmed soldiers from each side will stand guard inside the area to control civilian visitors and tourists who would be allowed to make a guided walk around. Panmunjom encompasses an 800-meter wide enclave, roughly circular in shape and created as a neutral area. It is the only contact point inside the DMZ, surrounded by minefields and guarded jointly under the armistice accord. To excavate war remains in Cheorwon, the two Koreas are involved in a separate demining operation to gain access to Hill 281 (Arrowhead), a site of intense battles in 1953 for dominant and strategic hilltop positions. 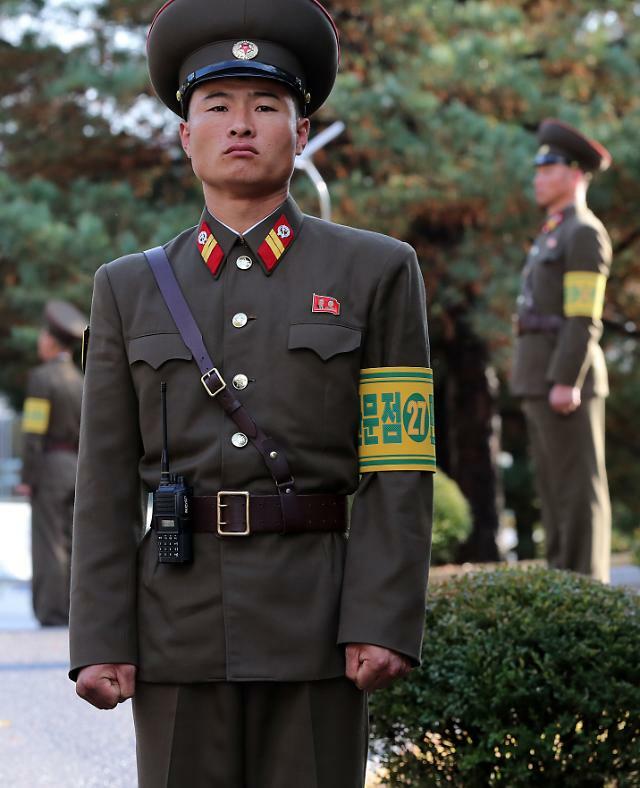 Chinese soldiers fought for North Korea. Hundreds of soldiers from South Korea, the U.S. and France were buried in the hill.